This cookery book aims to help you get started with everybody’s favourite Goan food. Cooking need not be tough, if you know how to approach it. 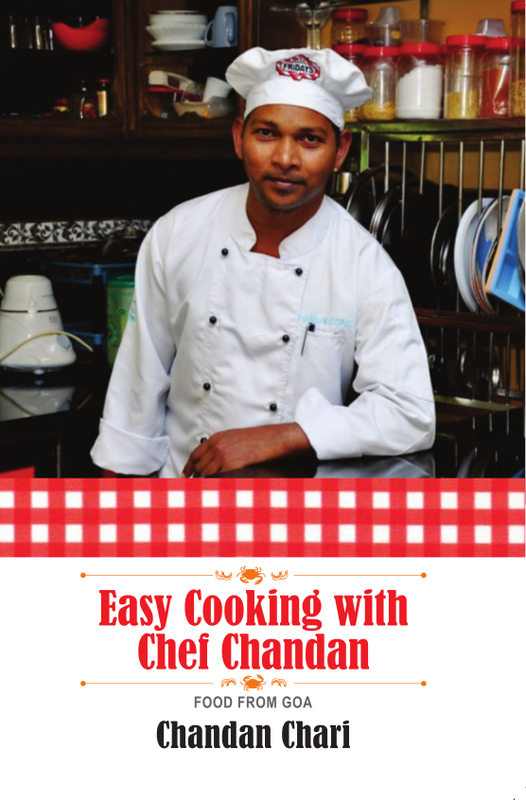 Chef Chandan Chari keeps things simple. Simple, yet unique. The ingredients are easy to come by. Recipes have been tweaked to become as easy as possible. Though some of the recipes might seem familiar, the dish could turn out to be rather different. The goal of the book has been to create the desired taste with a good texture based on locally available ingredients. From appetizers to salads, side-dishes to main dishes, and sweet treats, a wide range of recipes offer a whole lot of ideas and guidance from a Goan chef whose culinary creations have been widely appreciated. Don’t miss the made-with-Goan-love recipes. Specially those of grilled mussels stuffed in shells, tuna fish baskets, sprouted salads, fish in green curry, prawn balchão, mushroom chicken, galmo (dried shrimps), sukhey khube (seafood), and the all-time popular rava-fried fish.